Wedding invitations designs come in so many styles, colors and formats that sometimes can be hard to choose the one to represent you and your wedding event. The thing is that once you need to send out these cards, you should definitely find the design that reflects the best your wedding style, especially if this one goes for a specific theme or specific colors to decorate the ambiance of your wedding event. 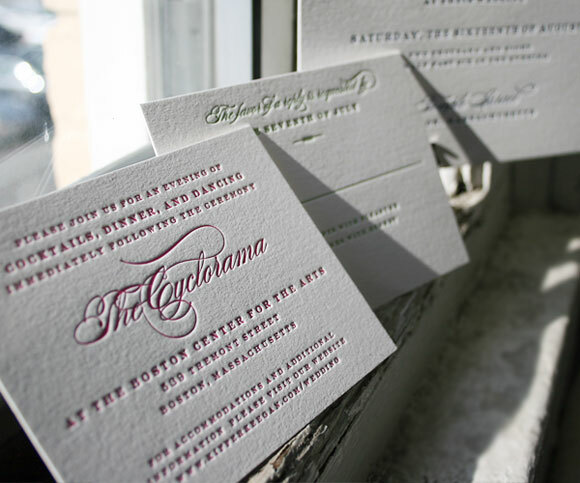 If you will decide to make your own wedding invitations, then you should browse among the available wedding invitations designs that are displayed inside the various online wedding stationeries and see what is there the most suitable design to include with your wedding invites. Apart from these inspiring sources you are given the option to create your wedding invitations design according to some templates that are also available online. As you can see, all you would need after all, will be the computer, the paper, skills to work with computer tools for drawing and special wording, and any additional touches, such as ribbons, or stripes of lace/velvet/silk or even wildflowers– if you decide to use one of them. In case you plan for the wedding invitation design to include a photo of yours, then make sure that you have one – the most recent, of course. The DIY wedding cards are always seen as a great and exciting activity in the planning of a wedding, not to mention that they can save you a lot of money, a thing that you definitely need to do when planning the celebration of your wedding. When having your DIY wedding invitations design ready, you can also save the drafts that have lead you to the final form and keep them in your wedding scrapbook which over the years would be a great reminder of the days when you have worked out your way into creating the messages sent out for your wedding guests.